Steve Lewis hails from a large family of farmers and ranchers who settled in Colorado and Nebraska in the late 1800s. When he was little, his father was in the U.S. Navy and often at sea, so Lewis spent a lot of time at his Uncle Chester’s house. “It was a typical high-plains two story farmhouse,” Lewis recalls. Uncle Chester loved hunting and fishing, and Lewis has vivid memories of his uncle’s trophies from a trip to Alaska. Along the stairwell, a Kodiak brown bear pelt reached from bottom of the first floor almost to the ceiling of the second floor. Little Lewis had to run past that bear to get to his bedroom, where a moose head hung. Fortunately for the Council, that imaginative kid never lost his fascination with the state. 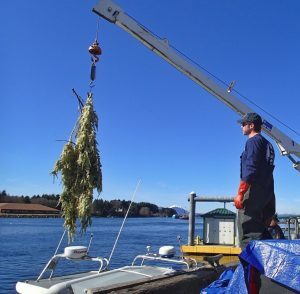 Holen, in Sitka harbor, assisting the Sitka Tribe of Alaska to weigh herring roe on branches. At 17, Davin Holen left his home in the woods outside of Wasilla, Alaska, to travel the world. 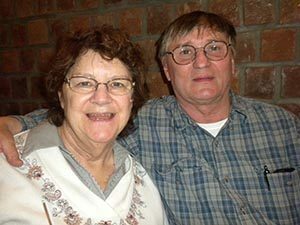 He lived and studied in South America and Europe for several years before joining the Peace Corps, where he ended up in Mali, West Africa, living in a small mud hut on the edge of the Sierra Desert with his wife, Cara. “No running water, no electricity. It was like camping in the desert for two and a half years,” Holen says. Holen’s experience in Africa sparked a curiosity about human culture that has turned into his life’s work. He realized that even though he grew up in Alaska, he did not know much about the cultures in his home state. He returned from Africa and enrolled in the Master’s program at the University of Alaska Anchorage in Applied Cultural Anthropology. The department was brand new, and Holen was its first graduate. After earning his degree, he went to work for the Alaska Department of Fish and Game’s Division of Subsistence, working his way up from an internship to program manager over 15 years. Holen assessed subsistence harvests all over the state, from Southeast Alaska to the Arctic. 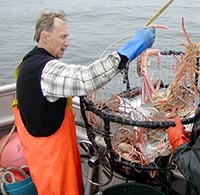 He tried to understand and document these fisheries, in order to anticipate problems that could arise, so he could find ways to address upcoming expected needs. 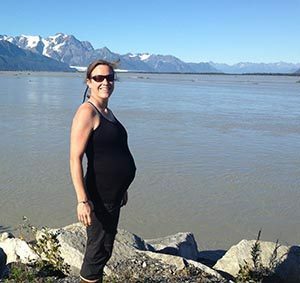 Morse and her husband Andy will soon be welcoming twin girls into their little Cordova family. Photo courtesy of Kate Morse. Kate Morse was nine years old and living in Pennsylvania when the Exxon Valdez hit Bligh Reef in 1989. Although she didn’t directly experience the spill personally, she now works to bring the spill to life for a new generation. Morse has been the Program Director for Cordova’s Copper River Watershed Project since 2008. The organization is based in Cordova but does work throughout the Copper River watershed drainage area, which includes not only Cordova, but Glennallen, Kenny Lake, Mentasta Lake, and Paxson. Morse says the area is about the size of West Virginia, and the population of the region depends on healthy salmon runs. She says her organization tracks the council’s projects closely because the Trans-Alaska pipeline runs through the Copper River basin.